The second Star Wars standalone movie just began principal photography, but Donald Glover has yet to begin filming. Actually, as of a few days ago, the actor had yet to even read Jon and Lawrence Kasdan‘s screenplay for the Han Solo origin story. But the Golden Globe-winning actor has been spotted out having a lunch with Billy Dee Williams, who originated the character of Lando Calrissian in Star Wars: Episode V – The Empire Strikes Back and Star Wars: Episode VI – Return of the Jedi. Hit the jump to see the epic photo evidence and learn more. I think the point of all of this is just to make people believe you, so I just keep thinking about that. I’m not Billy Dee Williams; I am not that cool. I don’t think anyone is really, but I just had to make it believable. I had to do my own ‘cool’. I called my mum and my dad when I heard I’d won the role, and she said to me, ‘Don’t mess this up. This is Billy Dee Williams, and he is really cool.’ I take it very seriously. Twitter user Just Loren posted an image of Donald Glover and original Lando, Billy Dee Williams having a lunch meeting at Little Dom’s in Los Angeles. Apparently, the photo was taken on January 21st but has only recently been discovered by the world at large. Just a month ago, fans spotted Alden Ehrenreich meeting with original Han Solo, Harrison Ford in a similar style lunch meeting. 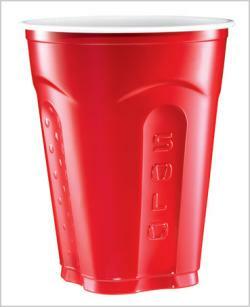 On Monday, principal photography began on the yet-to-be-titled Han Solo movie, which is filming under the working title “Red Cup” (a fun reference to the cup brand which features the logo SOLO on their disposable drinkware). Chris Miller and Phil Lord posted a photo from the first day of shooting, which you can see here. It’s not clear what the Han Solo movie will be about, but Lucasfilm’s Kathleen Kennedy has called it a “western” and a “heist” movie. Cinematographer Bradford Young, a newly minted Oscar nominee for Arrival, was bowled over by their pitch. We know that it will chronicle the early years of the smuggler, presumably showing how he met Chewbacca and came into possession of the Millennium Falcon. Woody Harrelson is on board to play a criminal who acts as Han Solo’s mentor, which has led some fans to believe that he may be playing Legends character Garris Shrike. We also know that Game of Thrones star Emilia Clarke will be playing a female love interest, the same one that Tessa Thompson, Zoe Kravitz, and Naomi Scott were testing for. Han Solo: A Star Wars Story is set for a 2018 release, although it’s unclear if Disney will be releasing the film on the originally announced date of May 25th, 2018 or a new date rumored to be in December 2018.